When our children with special learning needs are younger, our focus is usually all about the academics. How do I help my dyslexic son to read? Will my daughter with dysgraphia ever be able to communicate through the written word? Will my child with ADHD be able to ever have the focus to make it through an entire lesson? As our children grow, we realize that in spite of their learning challenges adulthood is getting closer by the day. Some of the early learning challenges will disappear, others will continue to be challenges, and yet we may reveal new struggles as our children grow. But what we can’t do is judge our child’s whole life by their academic accomplishments. They are so much more than their academic work. Even academically gifted children don’t want to just be defined by their academic prowess. Children with special needs do not necessarily have delayed development in other areas. Your son that is still struggling with reading that piece of literature or doing long division is still dreaming of the cute little girl down the street, the number of days until he can get his driver’s license, and dreaming of someday being a dad and husband. As a mother of a child with special needs, you just don’t give up on these dreams for your child. You want them for them just as much as they do. So here is the secret – don’t limit your child to his challenges, but start defining him by his talents and abilities. In entering the high school years with our child who has some special learning needs, my husband and I realized that we will be making a grave mistake to try to force this child to go down the path of a traditional four year college education after high school. We are looking at this child’s gifts and talents and asking the questions of how to raise and equip our son to be a responsible, hard working adult. How can we assist him in achieving his personal goals for the future, which even he will tell you does not include the Dean’s List in college? God can work with just about any skill set as long as there is the character to back it up. Lots of character building in how to treat others, where to put your faith, the value of a good work ethic, planning your next steps, and then doing the next right thing. Look at where your child’s talents lie and then identify potential trades that magnify their skills rather than their challenges. Seek out mentoring relationships with professionals in different lines of work. Whether you have learning challenges or not, personal connections always way in heavy when seeking employment. Determine where it is appropriate to utilize tools where proficiencies may be lacking. Our child really struggled with dyslexia when he was younger. Spelling is still not his strength. We have chosen to spend extra time on teaching him to use spell check and grammar check on whatever device or software he is using. This is a great tip for anyone, but critical for him in presenting himself well through the written word. Self confidence goes a long way. No matter what our abilities are, none of us accomplishes much unless we believe we can. We believe we can, because others tell us that we can. As others encourage us, we take on small projects which eventually lead to bigger ones with each success. Be intentional in creating opportunities for success and continue being his biggest cheerleader. Build life skills that will be crucial. The richest people in the world are not always those that make the most, but those that know how to manage what is entrusted to them. Teaching your children to manage their finances, their time, and their resources in all areas is critical. There are many successful people from all eras of history that came out of poverty and with little formal education. The greatest thing we can do is to trust also in the fact that God had a divine plan for each of our children before they took their first breath. He will provide a way for their future as adults in line with the purpose He has for them. It is our job to instill in our children to continue seeking Him, asking Him to reveal that plan, and then doing our part to accomplish what He has put before us. If our children can do that with a measure of integrity, their lives will be a success! Thanks for stopping by. I am glad that the post was an encouragement. We all need to encourage one another as we work our way through this journey. Many blessings! 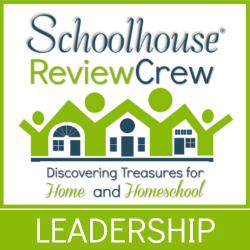 I think the biggest challenge you would have in homeschooling is in not trying to recreate school at home. Homeschooling our children has been such a blessing over the years not only in personally our children’s education, but also being able to be the greatest influence in their life day in and day out. We have also seen positive aspects of homeschooling in our children’s relationships with each other. Our older children began in public school. When we brought them home, our youngest was a toddler. We did arrange our day so that the subject areas that really needed deeper concentration and my attentiveness to my “students” were done during the toddler’s naptime. You and your husband are the only ones that know your situation and what is best for your family. However, if you should decide to homeschool, please know that there are large communities of people that would love and support you through the journey. You will not be forging this path alone.